Video game-esque combat simulations are nothing new in military training; but the MoD's war games have been turned down by recent trainees due to them not being realistic enough. 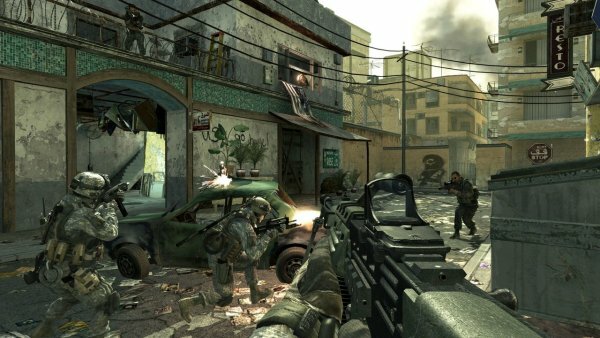 Turns out that compared to the visual quality of your standard war FPS games like Call of Duty have one-upped what was being used to train the fresh recruitsat the Ministry of Defence. With this in mind, significant upgrades have been made to its simulations, in order to bring them up to par with the aforementioned console titles. Upgrades involved buying technology from video game developers to use in the bases to build and modify heavily to add the sufficient amount of realism required. It's strange to see how the ground has shifted, from the assumption being that military combat simulators would be the most technologically advanced and realistic interpretations of war, to this paling in comparison to console games. Siri tells 12 year old to "Shut the f*ck up"